Local Businesses Show Your Support of ORHS! Looking for a way to show the community that your business actively supports ORHS! Consider purchasing signage on the ORHS Scoreboard. The ORHS athletic complex hosts numerous high school sporting events as well as a large number of youth community sports leagues during the entire year. These events attract many spectators and fans not only from El Dorado Hills, but from a wide variety of visiting schools and communities. 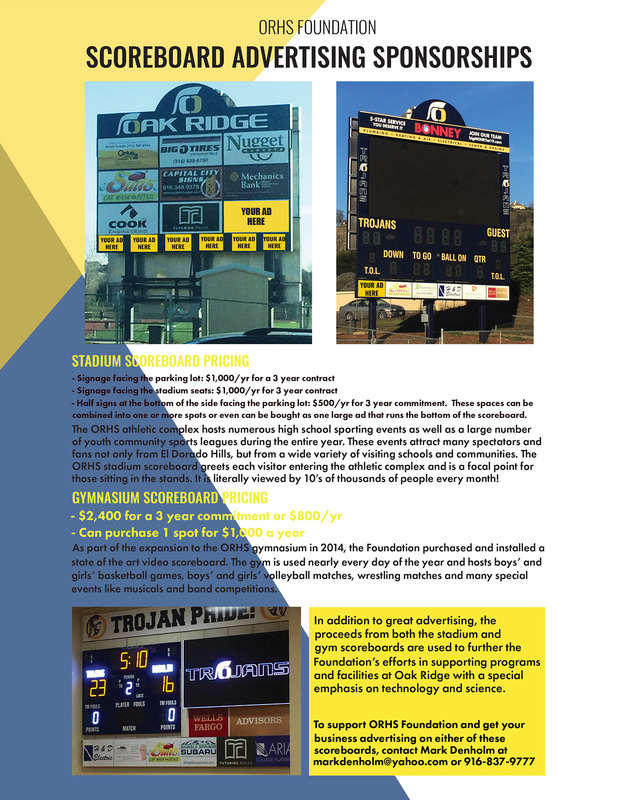 The ORHS stadium scoreboard greets each visitor entering the athletic complex and is a focal point for those sitting in the stands. It is literally viewed by thousands of people every month! As part of the expansion to the ORHS gymnasium, the Foundation purchased and installed a state of the art video scoreboard. The gym is used nearly every day of the year and hosts boys’ and girls’ basketball games, boys’ and girls’ volleyball matches, wrestling matches and many special events like musicals and band competitions. 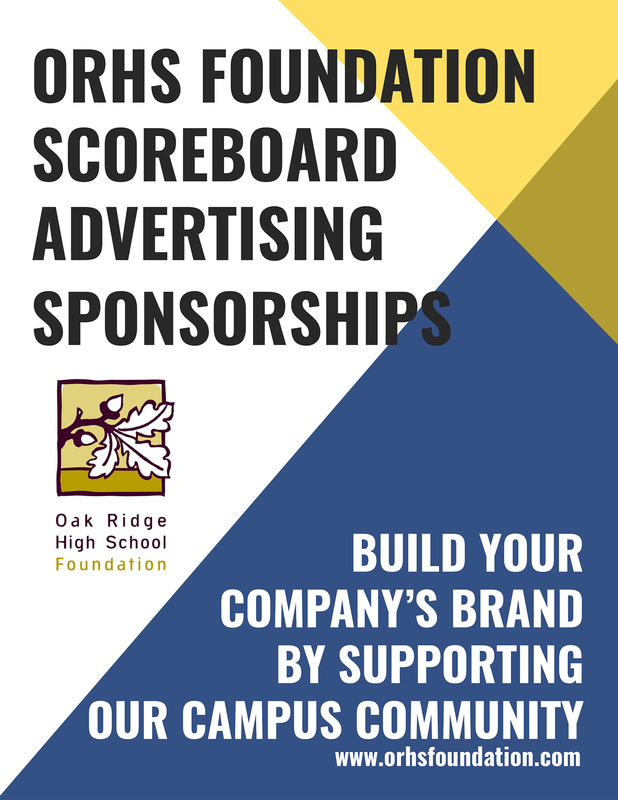 To support ORHS and get your business advertising on either of these scoreboards, contact Mark Denholm 916-837-9777 or markdenholm@yahoo.com.